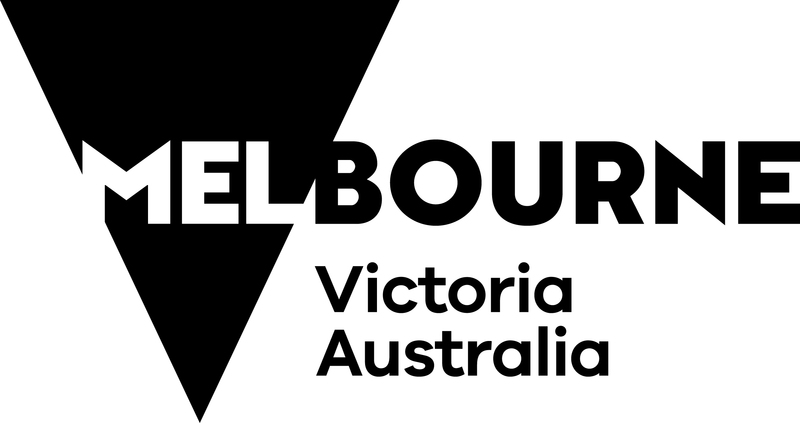 The Victorian Government Melbourne logo is hosted here for Creative Victoria funding recipients, if you require more information or other versions of the Victorian State Government logo, please visit the Department of Premier and Cabinet website. If you have any queries about its use, please contact Creative Victoria's Communications Manager for advice. This logo must be used on all materials relating to your funded project or activity that will be used outside of Australia. Its size and placement should be commensurate with the level of support provided by the Victorian Government and relative to other supporters or sponsors. Minimum size, clear space and other requirements are outlined below. 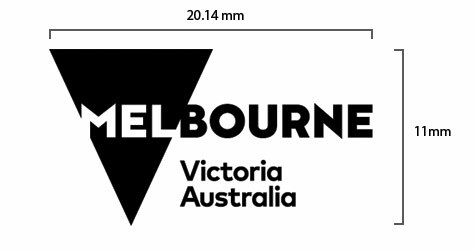 When used in print, the logo must not be any smaller than 11mm (h) x 20.58mm (w). Please note the image above is not actual size and is for reference only. 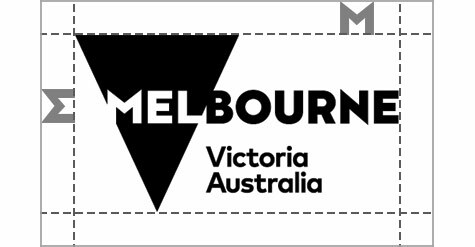 Above, below and to each side of the logo there must be clear space equal to the height of the "M" in Melbourne contained within the logo.